Instructor User Guide LessonsHow do I delete a Lessons subpage? Deleting a Lessons subpage is a two-part process. 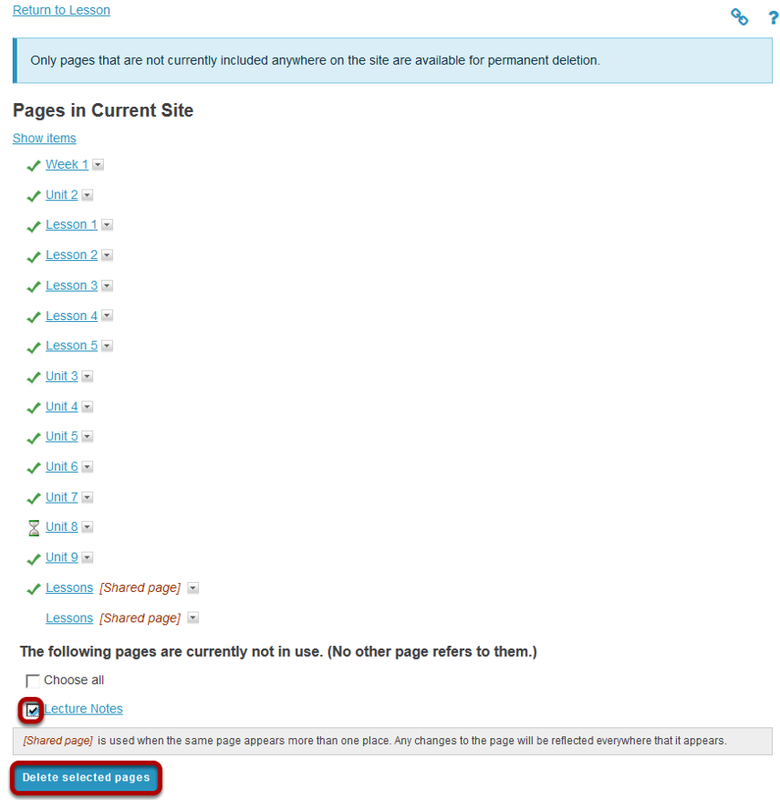 First, remove the link to the subpage from the top-level page and then delete the subpage from the site. Click on the Lessons page which contains the subpage link you want to delete. Zoom: Click the Delete icon. Click the Delete icon next to the subpage to be removed. Next, go to the Index of Pages. Zoom: Next, go to the Index of Pages. Select page/s, then click Delete selected pages. Zoom: Select page/s, then click Delete selected pages. You will see the list of pages with the unused pages listed at the bottom. Only items which are not linked from any other location can be permanently removed from the site. 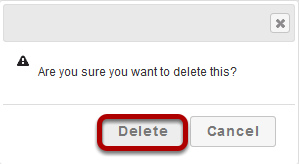 Click Delete selected pages to completely delete the selected page/s from the site. Prev: How do I delete a top-level Lessons page? Next: How do I export Lessons content?